Board Layout (Gerber) files - made from the schematic. If you don’t have these or a schematic yet, check out our design services page. Parts list (bill of materials, or BOM) with manufacturer part numbers, quantities of each part and reference designators. Head back to design services page if you don’t have these yet. DaTran can create board files and parts lists from your schematic. Don’t have a schematic yet? Our engineers can help you develop it. Bring us your idea - we are here to help make it your reality! 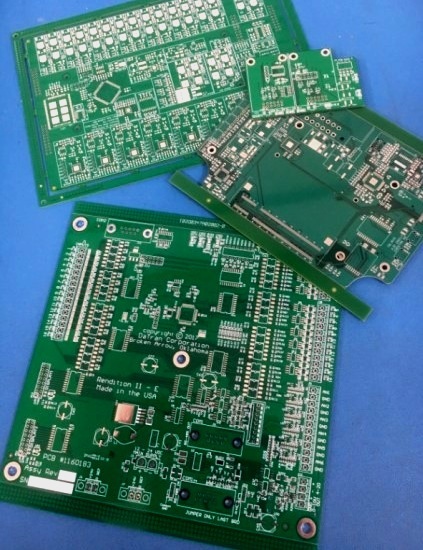 From your board layout files we will create and manufacture the “bare” circuit boards. We will also use these files to make a paste stencil for our SMT line. Your board layout files include pick & place data for the SMT line. 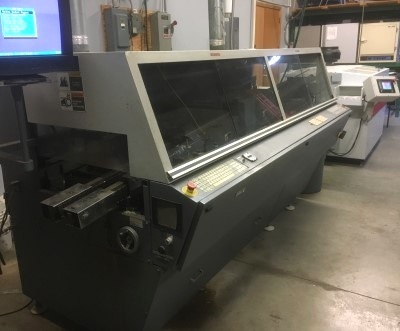 From your parts list we create a “Datran BOM” that we use along with the pick & place data to program the SMT machines. The Datran BOM is entered into our MRP system for parts ordering and tracking, also. Printed circuit boards of various sizes, shapes and complexity are no problem! Simple but important - a high quality stencil ensures solder paste is applied properly to SMT pads on the bare boards. We’ll import your BOM into our MRP for efficient parts control and order tracking. 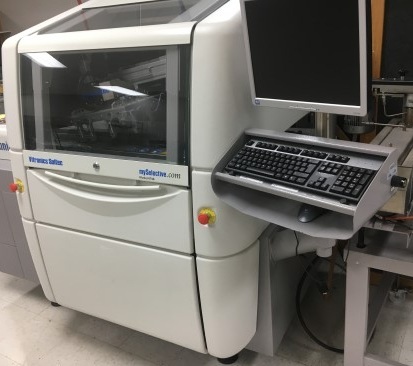 After programming, the machines quickly and accurately assemble the surface mount components. SMT programs are kept on file for future manufacturing runs and can be easily modified as your product matures. 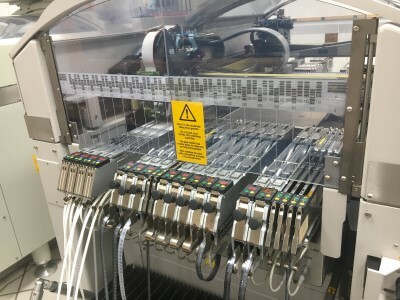 Upon completion of SMT assembly the boards are inspected and any needed through-hole components are added by hand (or by wave soldering machines, depending on board quantity and through-hole parts count). Selective wave solder machine for through-hole components. Tried and true… our old Electorvert is still alive and kicking in calse we need to wave some extra-large boards.